C & M Development Group LLC can take care of all your home improvement needs, from roofing and siding to windows and doors – and more! We want to make sure your home is efficient and beautiful inside and out. Based in Buffalo, NY, we serve homeowners all over Buffalo, NY; Clarence, NY; Williamsville, NY; and the surrounding areas. Call us today to get started! Assured Roofing Systems: Our team is dedicated to installing long-lasting roofs for our Western New York clients. 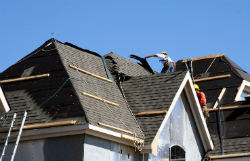 We offer all kinds of roofing materials and would love to increase the value and durability of your home with a new roof. We can also provide roof repairs. 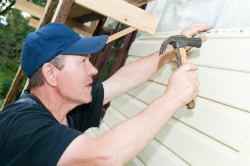 Siding: Make sure your home is able to withstand the test of wind, rain, and Mother Nature’s fury with our dependable siding services. 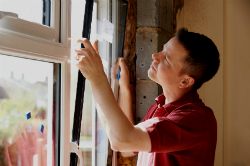 Windows & Doors: Your home can become more energy efficient with high-quality new windows and doors. We can give your home a new look while increasing its value and efficiency. Kitchens & Bathrooms: We can update your kitchen and your bathroom if they’re outdated or if you’re simply looking for a change. Hardwood Flooring: C & M Development Group LLC can install hardwood flooring for a classic, elegant look. Each time we serve you, you can trust us to be professional, hardworking, and reliable. From the first phone call to the completion of your project, C & M Development Group LLC uses the finest products to ensure long-lasting results. If you want to improve the value and appearance of your home and property, call on C & M Development Group LLC. We’d be happy to discuss the details of your needs and schedule an appointment. Contact us today to get started!